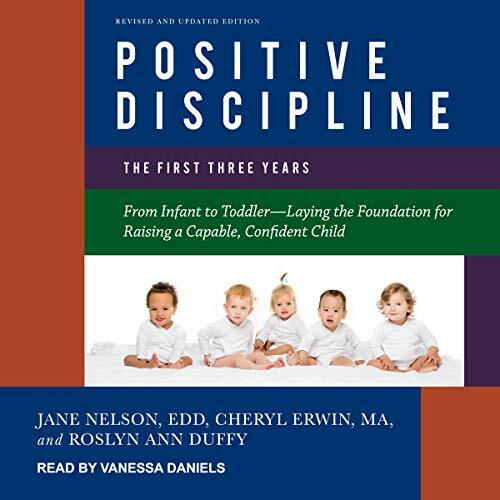 The celebrated Positive Discipline brand of parenting books presents the revised and updated third edition of their accessible and practical guide to communicating boundaries to very young children and solving early discipline problems to set children up for success. Over the years millions of parents have used the amazingly effective strategies of Positive Discipline to raise happy, well-behaved, and successful children. Research has shown that the first three years in a child's life are a critical moment in their development, and that behavior patterns instilled during that time can have profound implications for the rest of a child's life. Hundreds of thousands of parents have already used the advice in Positive Discipline: The First Three Years to help set effective boundaries, forge strong foundations for healthy communication, and lay the groundwork for happy and respectful relationships with their young children. Now this classic title has been revised and updated to reflect the latest neuroscientific research and developments in positive discipline parenting techniques.